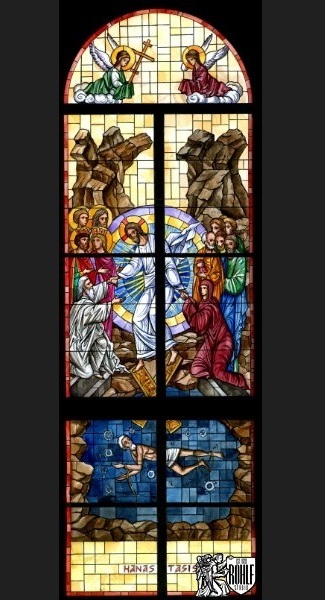 Fourteen new stained glass windows designed, fabricated and installed by Rohlf’s Studio at Zoodohos Peghe Greek Orthodox Church – Bronx, NY. 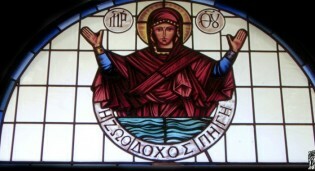 Holy Protection stained glass window at Zoodohos Peghe Greek Orthodox Church in Bronx, NY. 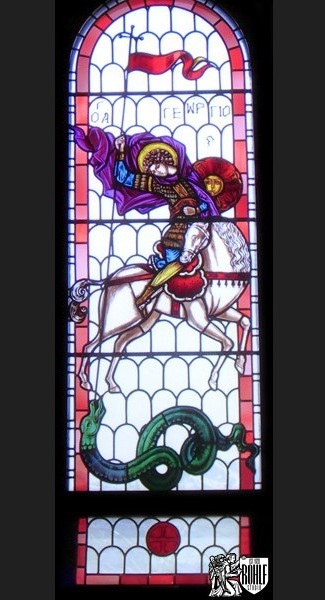 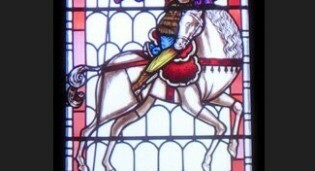 St. George stained glass window by Rohlf's Studio Zoodohos Peghe Greek Orthodox Church in Bronx, NY. 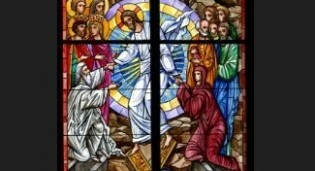 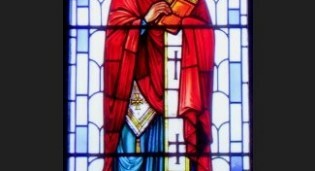 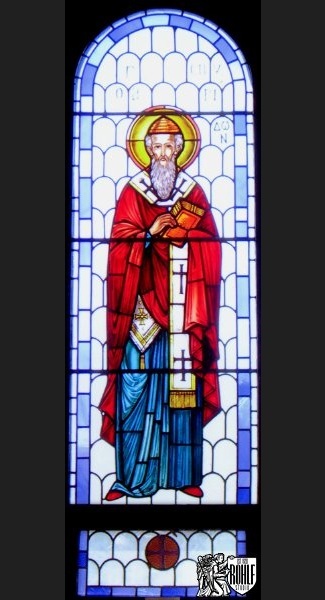 St. Spirydon stained glass window by Rohlf's Studio at Zoodohos Peghe Greek Orthodox Church in Bronx, NY.